Follow our technical description in order to customize plugin. You can add UTail widget into your WooCommerce website even if you are not using any special plugins like WooCommerce. Every WooCommerce websiteis special. Please use general guidelines on integration. 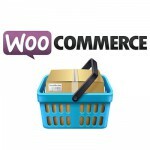 This plugin allows to quickly add UTail widget to your WooCommerce store. UTail widget allows to apply a discounts for your webstore prices. In exchange users have to share your message and site/product url in their profile in Social Media.